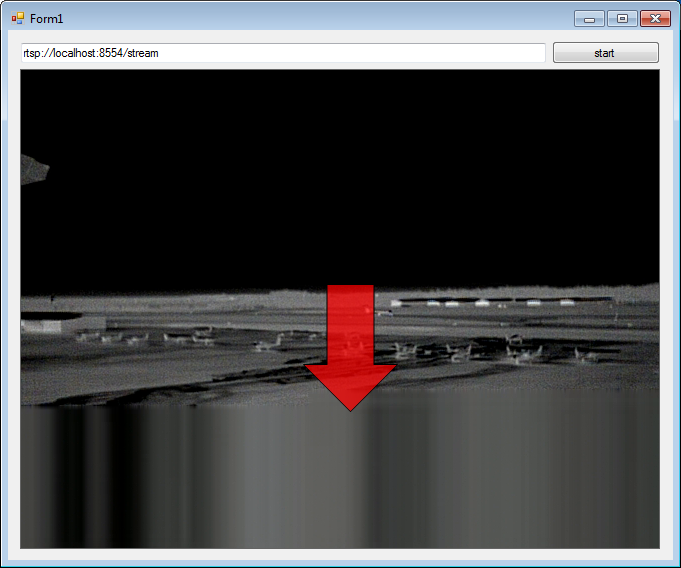 i've using emgu cv 2.4.10 to create a RTSP stream viewer that will eventually be used with IP cameras. as i don't have the camera/s as yet, i'm testing using VLC (the windows GUI) to create the stream from a video file. i'm doing this all testing on localhost. to narrow down the problem, i've run ffplay from the commandline and the capture is perfect. i've run another instance of VLC to capture the RTSP stream and it displays perfectly. so this is clearly a problem in open cv/emgu cv. on a whim, i changed VLC to stream using HTTP. this displays fine in my code, but at a noticeably lower frame rate that won't work for my application. i'd really appreciate any tips to fixing this problem. thanks. Not the answer you're looking for? Browse other questions tagged opencv rtsp emgucv capture corruption or ask your own question. What format should a client (VLC player or browser) connected to an RTSP url receive?